While the choice to move to an assisted living community like Regency can be difficult for many, it comes with a sense of peace and security that cannot be matched. Our Vice President of Business Development, Jeff Clay related the process to a senior going away to college. The new surroundings can be unfamiliar and invoke a sense of anxiety and homesickness, but can be a very rewarding experience. It can be difficult to encourage your loved one to move to an assisted living community, especially when their home is filled with numerous sentimental attachments. However, we often hear, “I wish I had done this years ago,” from many of our residents. It is best to make the choice to move to an assisted living community before rapidly declining health or an accident force the decision. Allowing time to make the choice and prepare for the move can help seniors to feel more comfortable in the decision. At Regency, our focus isn’t on skilled medical care. Rather, we strive to provide an environment that is complete with the comforts of home. Our Assisted Living program allows seniors the independence to come and go as they please while providing assistance with medication, housekeeping and meals. Moving to an assisted living facility doesn’t mean the end for a senior’s social life. However, it is quite the opposite. Our community encourages activity and interaction that can enhance their retirement experience. Honest and objective communication can make the decision much easier for families. When considering assisted living, it is important to share your opinion while listening to your loved one’s feelings and concerns. Presenting options, rather than dictating actions can help the senior to feel more comfortable in the decision to move. When selecting an assisted living community, it is important to consider a variety of factors including: location, services, activities, and the overall appeal of the community. Our short term stay programs offer month to month leases, enabling seniors to “try out” the assisted living lifestyle before selling their home. After new residents join our community, we conduct an activity survey with the resident and their family to become better accustomed to their preferences. New residents are then paired with others that they have something in common with to foster a sense of belonging. Meals are served in our dining room to help further facilitate social interaction. 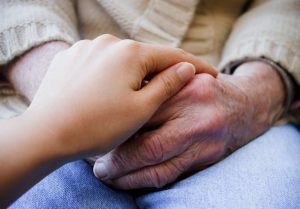 Moving to an assisted living community can come with many questions and concerns. For more information on our services or activities, please visit https://regencyretirementjackson.com/.